Product #21752 | SKU JB01346 | 0.0 (no ratings yet) Thanks for your rating! The Joby 1/4"-20 Hub Adapter serves as a central connection point for multiple 1/4"-20 male accessories. 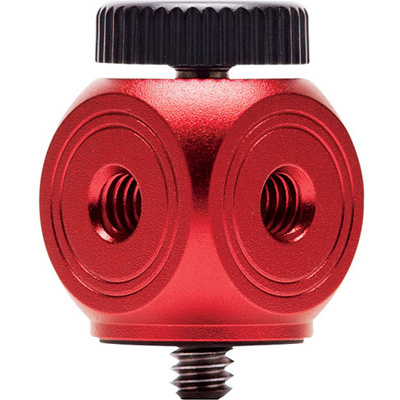 It includes a 1/4"-20 thumbscrew for mounting to action cameras or support rigs, providing four 1/4"-20 threads for attaching mounts or accessories. The thumbscrew can also be removed to provide a total of six 1/4"-20 threads for connecting multiple 1/4"-20 male accessories together.